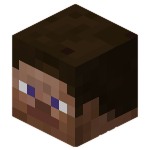 Custom world feature were removed in Minecraft Java 1.13. 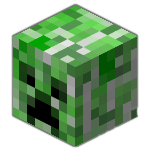 This feature is only available in Minecraft Java 1.12 and previous versions. 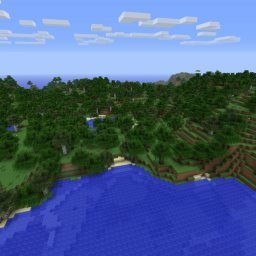 Custom world aren't available for Minecraft Console and Bedrock Edition. Tips: You can use the Left/Right Arrow Keys and PageUp/PageDown Keys to adjust the sliders values. 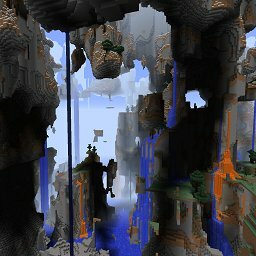 Do you want to add caves in your world? Add Caves? 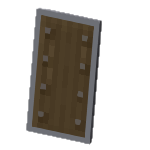 Do you want add underground strongholds with end portals in your world? Add Strongholds? Do you want add NPC's villages? 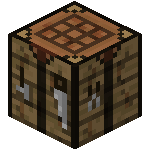 (You will be able to trade with villagers) Add Villages? 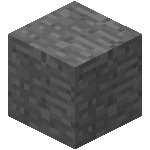 Do you want add underground mineshafts in your world? 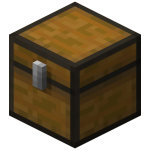 Add Mineshafts? Do you want add jungle temples and desert pyramids? Add Temples and Pyramids? 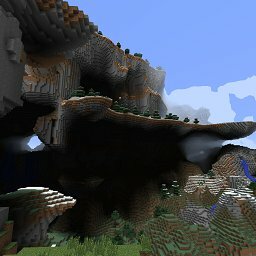 Do you want add ravines in your world? Add Ravines? 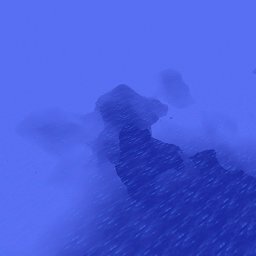 Do you want add underwater Monuments in oceans? Add Monuments? 1.11+ Do you want add mansions in your world? Add Mansions? 4 = Default Size, 6 = "Large Biomes" World Size. 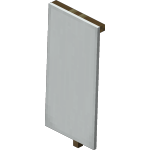 For exemple, 8 = Size x 16. Elevation of the Sea Level (Y axis). Do you want to replace water oceans by lava oceans? 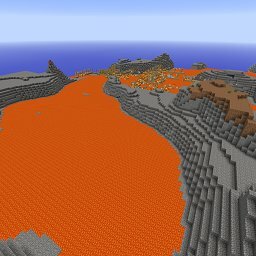 Add Lava Oceans? 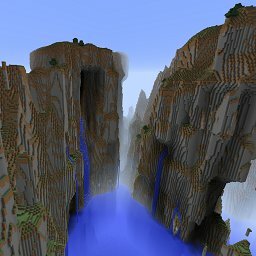 Do you want to add water lakes in your world? 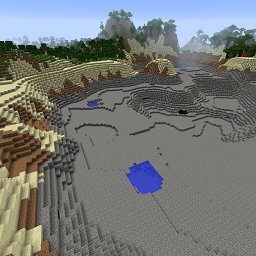 Add Water Lakes? Percentage of water lakse in the world. More this quantity is a big number, more frequent will be water lakes. Do you want to add lava lakes in your world? Add Lava Lakes? Percentage of lava lakes in the world. More this quantity is a big number, more frequent will be lava lakes. Do you want to add dungeons in your world? 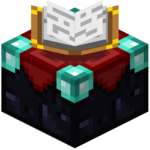 Add Dungeons? Percentage of dungeons to add in the underground world. 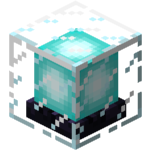 More this quantity is a big number, more frequent will be the dungeons. Elevation zone where veins spawn. Veins will spawn between min and max (Y axis). Local reliefs amplification. A small value reduces micro-reliefs. A bigger value amplifies micro-reliefs, so the ground is smoother. Defines the ground stratification, the horizontal cutting. 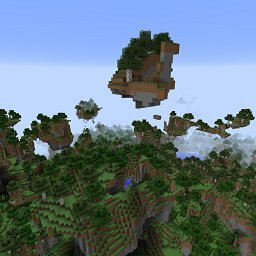 A big value can create floating islands. A smaller value create large and soft curves. Defines the smoothness of the ground. More this value is big, more the ground will be smooth. 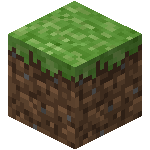 Vertical ground stretching, considering the biome characteristics. Smaller is the value, more the ground will be vertically stretched. Offset for the ground depth. A small value for a deeper ground, a big value for higher ground. Defines the terrain porosity. The closeness of theses 2 values defines if the terrain will be fill or pierced. Amplification weight for reliefs. The amplification is linear, bigger is the value, higher will be the reliefs, with a medium value to 8.5. Ground vertical streching. Smaller is the value, more the ground is vertically streched.